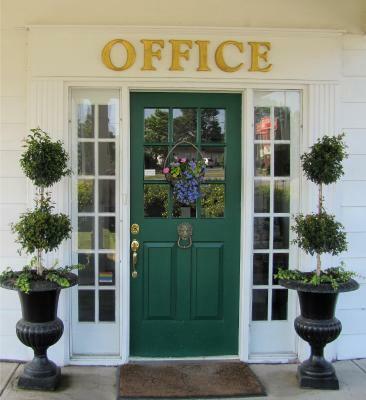 Lock in a great price for Green Acres Inn – rated 9.1 by recent guests! 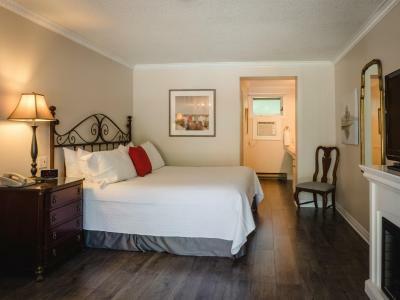 The Green Acres Inn is a gem in the city of Kingston, extremely clean and well appointed for any traveller who is looking for a little more of a familiar home feel than hotel. Room was spacious and clean. Additional amenities like microwave, dishes, etc were appreciated. You did not notie It was close to the road. From all the motels aaide the road this was the best, It did not look shabby like the most others. The room was Great, even so was the staff and to the harbour It only rook us 10 minutes. If you want a really nice room Take the suite with sauna and yacuzzi. We spent a night here on our drive to Montreal. The room was very large, clean, and attractive. The staff members were cordial and helpful. We did not use the swimming pool or kitchen in the room, and we did not eat there. When we arrived, I realized that the Green Acres Inn wasn't in the rural location I expected. It is on the outskirts of town, with various buildings and businesses along the road. However, the location was very convenient for picking up our rental car, driving back into town, and stopping at a fast-food restaurant for a quick snack. 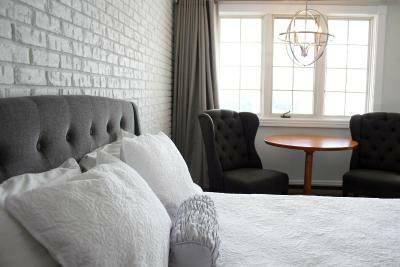 The rooms was very well designed and outfitted. The rooms were quiet at night. The grounds were well kept and attractive, with sitting areas. Our room was spotless. There sitting areas setup at different places in the grounds where guests could sit and relax either in the sun or the shade. Beautiful flowers everywhere. Quiet location just far enough away from the city centre.....tranquil setting.. Friendly and informative and helpful staff, particularly Daniel. Well equipped and comfortable bedrooms. Lovely garden/pool area to relax in. Close to bus stop for easy access to Centre. 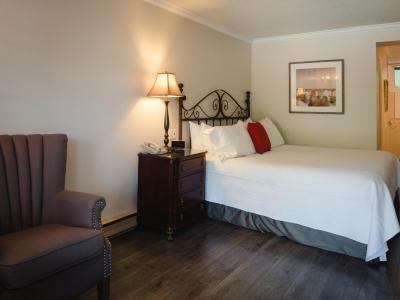 Green Acres Inn This rating is a reflection of how the property compares to the industry standard when it comes to price, facilities and services available. It's based on a self-evaluation by the property. Use this rating to help choose your stay! Featuring lush flower gardens and a selection of spa services, this family-owned inn is 2.2 miles off Highway 401 and 3.1 miles from the Kingston city center. 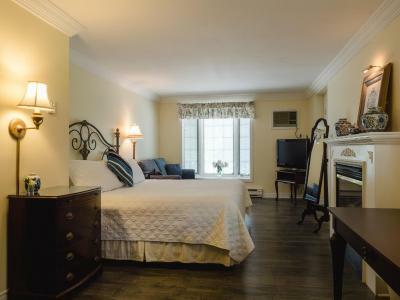 The elegantly decorated rooms of the Green Acres Inn provide a flat-screen cable TV, microwave and a refrigerator. Coffees and teas are also included. 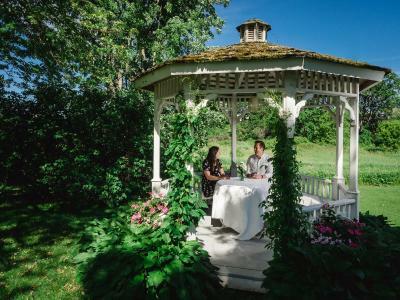 Green Acres guests are welcome to enjoy the gated outdoor pool and deck or admire the gardens from the Victorian gazebo. Gas barbecue grills are also on-site. Green Acres Inn is within 5 miles of the International Hockey Hall of Fame, Fort Henry National Historic Site and Kingston/Norman Rogers Airport. 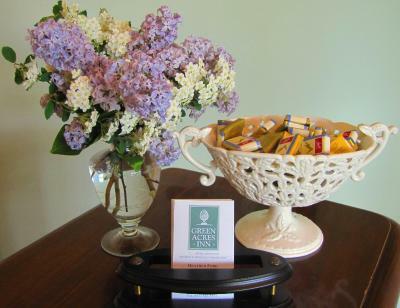 When would you like to stay at Green Acres Inn? 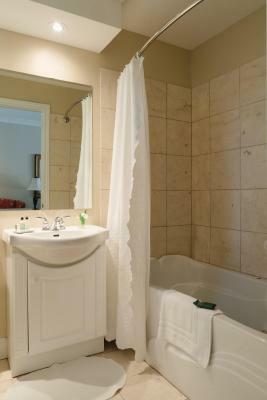 Room features a jetted bathtub. This suite features a fridge, microwave and coffee maker. 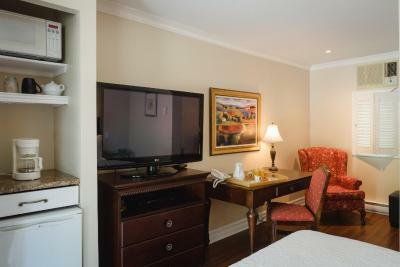 This suite features an electric fireplace, spa bath, fridge, microwave and coffee maker. 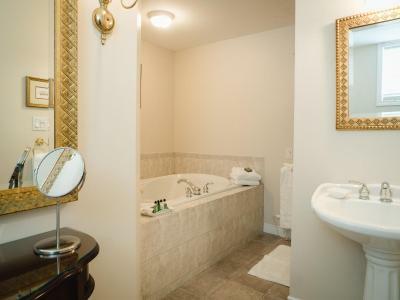 This suite features a fireplace, spa bath, fridge, microwave and coffee maker. 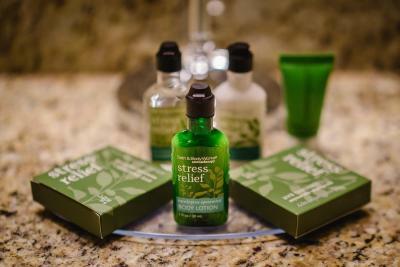 House Rules Green Acres Inn takes special requests – add in the next step! 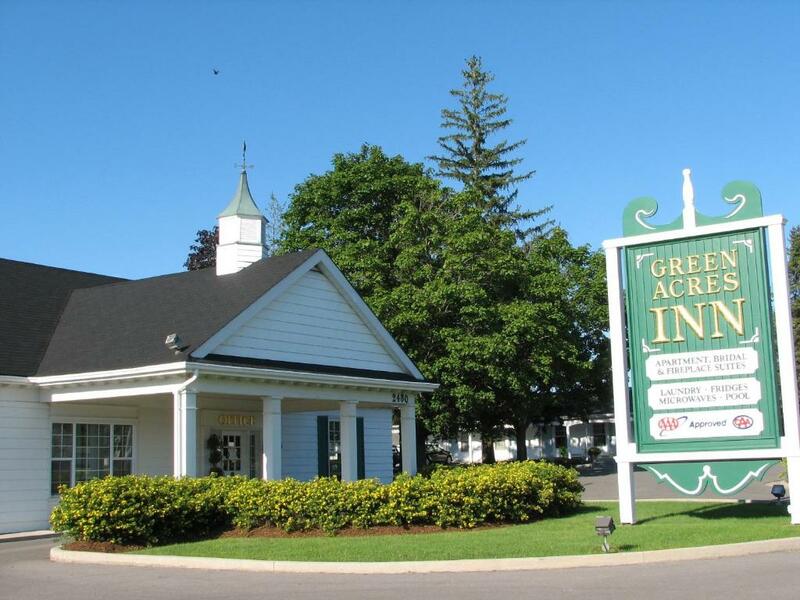 Green Acres Inn accepts these cards and reserves the right to temporarily hold an amount prior to arrival. The rooms weren’t overly sound proof. It wasn’t terrible or worth complaint but we could hear the neighbour’s water running fairly loudly. Still worth the stay! The room was spacious and clean and we were upgraded to a king suite by hotel staff. It’s quiet and friendly! Will stay there again. Friendly helpfulness of staff, cleanliness and condition of facility. Comfortable, well-equipped room. 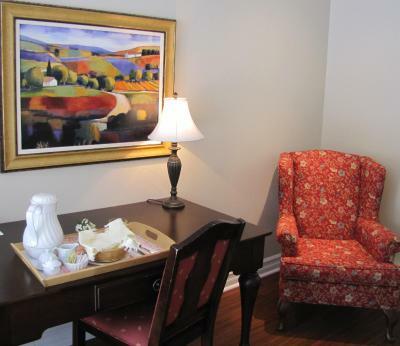 Convenient to amenities in the west end of Kingston. We could normal level conversation from the room next door. There were no towel bars or hooks in the bathroom. 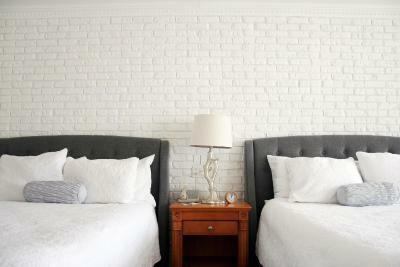 Clean room, well stocked, comfortable beds. This inn is close to several very good restaurants. The bed was very warm and comfortable but the floor was cold. I wish that I had brought my slippers. The room was well appointed, and the location was quiet. The bed was a little hard for me, but didn’t prevent me from having a decent night’s sleep. We brought our daughter back to school after the holidays and stayed at this motel as we’ve wanted to before and just haven’t . Usually stayed at our daughters. 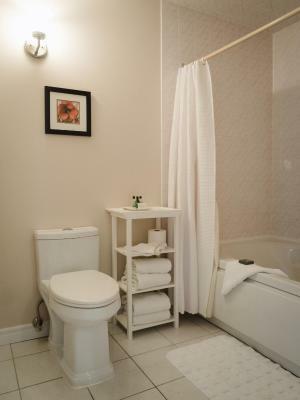 It was very sweet and comfortable and close to all amenities. We’ll definitely be staying here again. Easy to find, place was clean. The room was cozy. Our room was cleaned and fresh towels replaced while we were out. Walls a little thin. Could hear our neighbors.